WHIPPANY, N.J. (April 28, 2014) – TouchTone Communications, a nationwide voice and data provider, today announced a 30-day free trial promotion of its Business VoIP phone service. Using existing Internet connection, Business VoIP delivers a complete turnkey business phone solution including unlimited local and long distance, faxing, conference calling, and full-featured VoIP phones. The free trial was designed to help businesses who are considering making the switch to a VoIP service more easily evaluate how well VoIP technology can cut overall costs, increase productivity among employees, and simplify IT management. The 30-day trial includes TouchTone’s standard office Business VoIP voice plan plus rental of a VoIP phone. Those interested in participating in the free trial can sign up at https://www.touchtone.net/business-phone-service-free-trial.aspx. The system allows users to make and receive calls anytime, anywhere and from any device, and also connects multiple locations, remote employees and home offices under one main number, one extension list and one set of unified calling features. “We are a small business with several offices. Phone systems always required a ‘closet’ for the equipment and an expense commitment. Our problem was keeping in contact with employees when they were working out of the office,” said Bob DuVal, President of UCC, Inc.
“With TouchTone we have no equipment to house, our phones are portable and we have one telephone number no matter how many locations we use. Monthly usage charges are much less. Our employees are always linked with one phone system no matter where they are working. The TouchTone system is reliable, call quality is perfect and if we need help utilizing a seldom used feature, the customer support staff is knowledgeable and quick to help,” added DuVal. The service eliminates upfront capital investments and ongoing overhead expenses by enabling businesses to leverage the cloud as a platform to deploy communications devices and applications. Both the service and PBX are fully managed off-site by TouchTone Communications; so unlike traditional phone systems, customers do not have to install and manage complicated and costly equipment. Although large communication providers like RingCentral, Vonage, AT&T and Verizon are in the hosted VoIP game, Bio believes that not only does TouchTone’s Business VoIP phone service compare in both price and features, but outperforms in customer service. “TouchTone’s Business VoIP caters specifically to small and medium sized businesses and home offices. Many times with larger providers these types of customers get lost because of their size. SMBs are the bread and butter of America and we want to make certain that they receive the same great benefits of a Fortune 500 phone system, but at a price that they can afford,” said Bio. Businesses and IT professionals can select from a choice of plans, may mix and match feature sets including advance calling and unified messaging features and choose from a variety of VoIP Phones from Cisco and Polycom. TouchTone Communications offers a comprehensive portfolio of voice, data, cloud and managed services that can be customized to meet the communications needs of any size business. The benefits of an auto attendant. An auto attendant acts like a virtual assistant and replaces the need for an actual receptionist or operator. An auto attendant automatically greets callers and directs them to the right person or department by simply pressing a button. For example: for Sales, press 1; for Support, press 2; to dial by name, press 3. It can make any size business look bigger and sound more professional overnight. It is one of the many powerful calling features offered by Business VoIP phone service. You can set up multiple auto attendants, including an auto attendant for employees. To speak with John, press 1. Once the call is transferred, a second auto attendant can be set up with additional options. To leave a message, press 1; to reach me on my cell, press 2; to speak with someone in Support immediately, press 3. 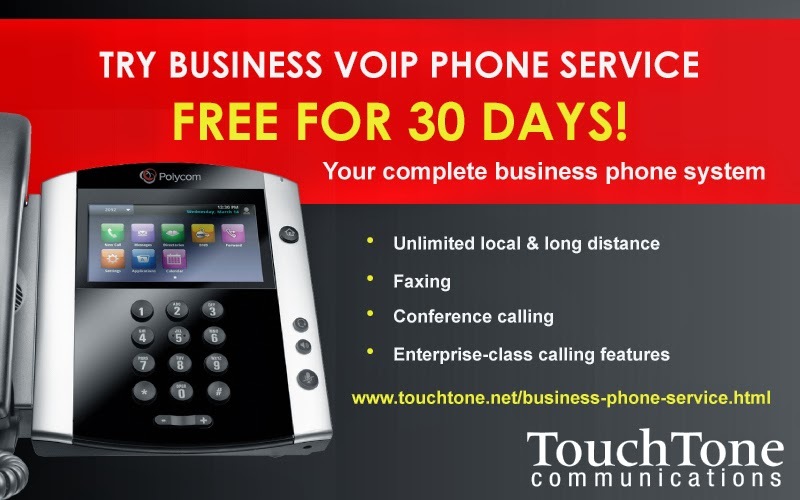 To learn more about TouchTone’s Business VoIP phone service, visit http://www.touchtone.net/business-phone-service.html. If you haven't already included IVR service and software providers to your customer demographic, it's time you expanded into this very lucrative market. Depending on their size, IVRs can average thousands, if not millions, of minutes in traffic each month. If you know of any IVR companies in your area, call or e-mail them to see if they need a (new) long distance service provider. And if you don't know of any, the Internet is a good place to find some. 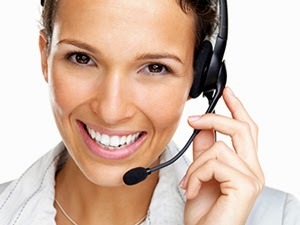 An IVR (Interactive Voice Response) allows a computer to automate interactions with telephone callers through the use of voice and touch-tone telephone keypad entry. Many business and enterprise customers (such as credit card companies, pharmacies, call centers and political campaigns) are using IVR applications to help cut costs and help improve customer sales and support. They provide the technology, but require a reliable service provider to deliver quality, low-cost voice services. TouchTone Communications customer, New York-based Dial Global, is a full-service radio network that produces and distributes radio programming to more than 6,000 stations in the U.S. One of their services, Radio Voodoo (an IVR system), answers phones for radio stations and makes it possible to use caller recordings in station programming. Dial Global provides the technology, and TouchTone provides the toll-free and DID termination. "Radio Voodoo is a service that specializes in allowing radio stations to have their phones answered by an IVR. Stations then use the audio left by listeners during radio shows or in promotional announcements. Radio Voodoo has partnered with TouchTone as a provider of toll free origination and DID termination. As you can imagine, radio station traffic has great highs during contesting and sometimes great lows depending on market size. TouchTone has been able to balance the sometimes huge spikes from stations in New York, Chicago and Los Angeles while servicing the smaller stations in Lubbock, TX, Massena NY and St. Joseph, MO. The best part about working with TouchTone has to be the customer service. At Radio Voodoo, so much of our success has been the team at TouchTone coming up with creative ways to find solutions to our problems. They are energized, engaged, and do not rest until we arrive at a solution. TouchTone is very much a part of the team that has made Radio Voodoo a must have for radio stations across the country." TouchTone provides quality, low-cost in-bound (local and toll-free) and outbound calling to IVR service and software providers. To learn more email business.support@touchtone.net.